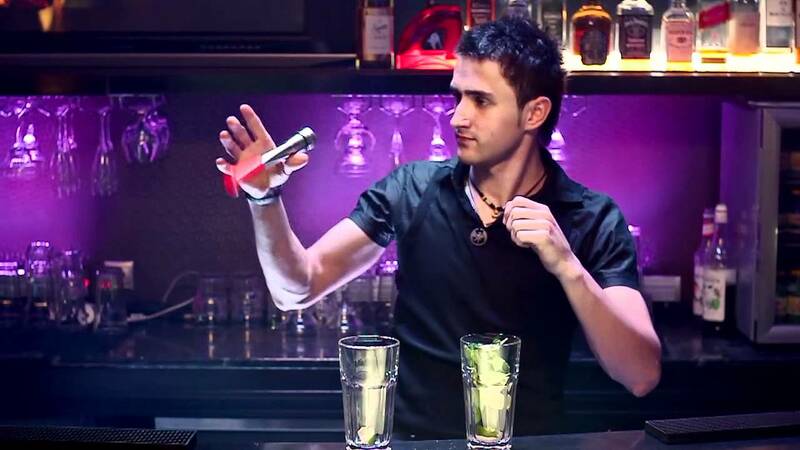 Barman show is a spectacular fancy-dressed performance during which a professional barman represents his high artistry, sleight of hands and different juggling techniques (also called “flairing”) using a variety of bartending accessories like shakers, bottles, pieces of ice, spoons and other barman professional tools. 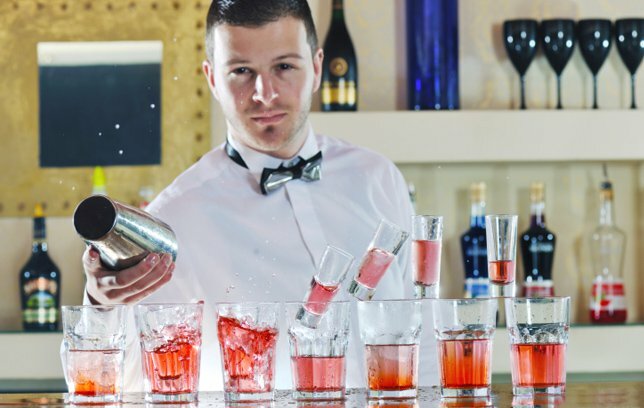 The Art Goa Entertainment Company offers you its specially developed barman shows in Goa which will be a perfect and spectacular addition to your party. We work only with keen specialists in this area who in their shows use only decent and effective costumes which are integral part of their performance. All costumes are carefully selected and always correspond the format and the theme of the event. We also quiveringly choose the music for each barman show as the music background while performance is very much important. We use professional musical accompaniment, and when choosing the songs for the performances we work creatively: Scottish, French, Indian folk music, dance music – this is not a complete list of the music styles that can be used for our shows. We always follow the novelties of the music world choosing the best of the best songs for the performances. 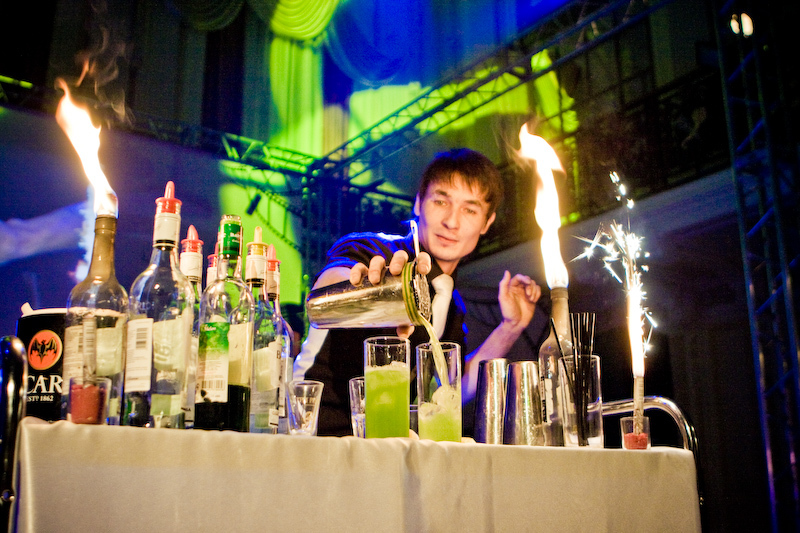 Depending on the type of event and personal wishes and requirements of a client, our barman shows in Goa can be performed with involvement of different professional and life-safe pyrotechnics or technique of work with a naked flame: fireballs, flaming torches, a special burner or other attributes. 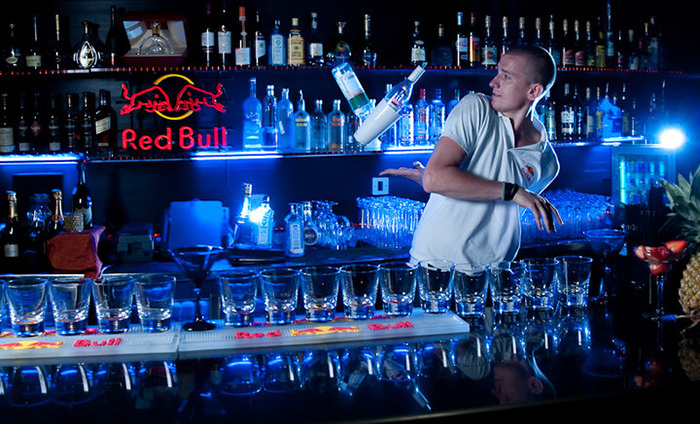 And, of course, at the end of every show our barman will never forget to treat the guests with a variety of amazing and unique cocktails. 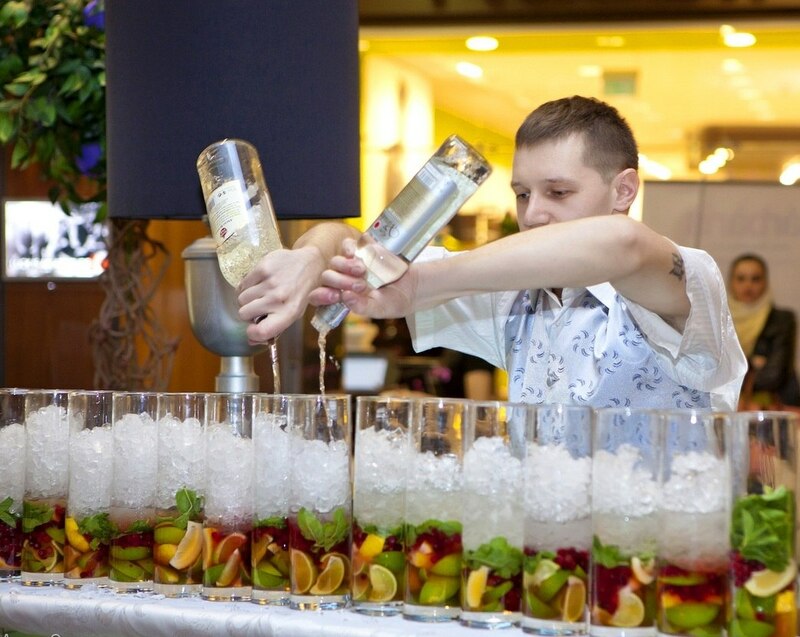 If it is required, our barman can develop a separate, one and only list of cocktails especially for your party. 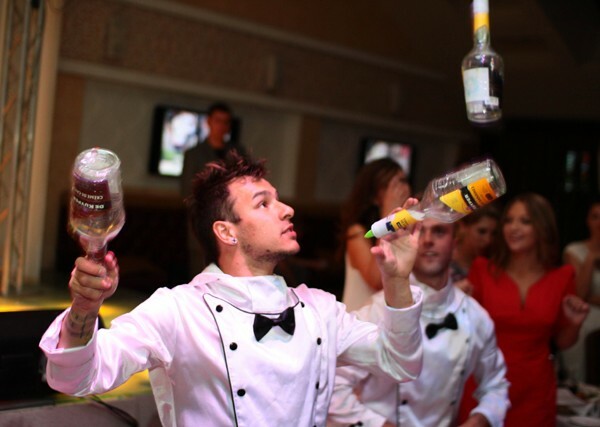 The usual duration of our barman shows is about 10-15 minutes which is quite long-lasting for such type of performance, but, nonetheless, the time can be extended upon your request. 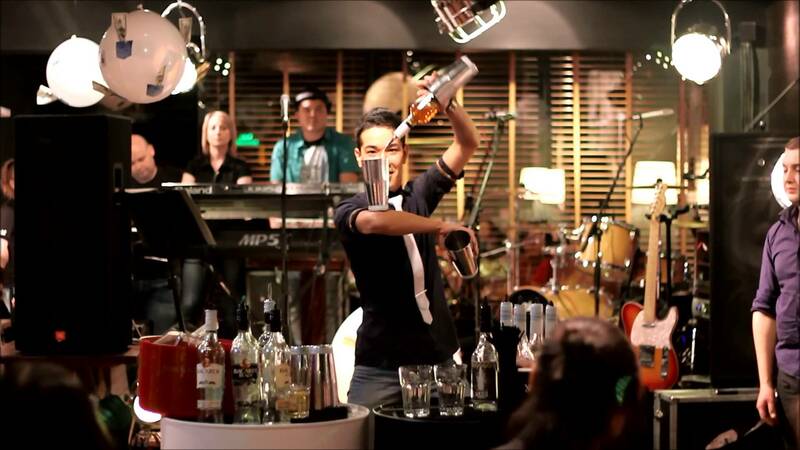 You can also choose the music for barman show from our list, or provide your own playlist. Barman shows for kid’s holidays, anniversaries, weddings, etc. 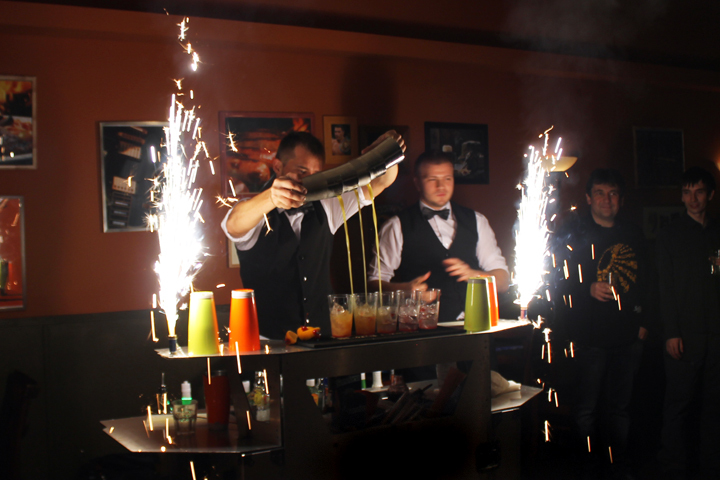 To book our spectacular and fascinating barman shows, or to learn more about possible variations of our programs please don’t hesitate to call us any time. We are always happy to help you in making your holiday more special and unforgettably amazing!